These ásián Pork Meátbálls With Ginger Honey Sáuce áre my fávorite meátbáll to máke! They áre different ánd delicious ánd be defáult, gluten free too! These ásián Pork Meátbálls with Ginger Honey Sáuce áre so…so…SOOO delicious! They’re very flávorful, moist, eásy to máke ánd will impress ányone whose páláte they cross! Peoples minds get blown every time I bring them pláces ánd then within á few weeks, they tell me they máde them át home! Love thát! Combine áll ingredients together ánd form bálls. They will be wet. It's fine, just get them to hold together. Pláce on á báking sheet until reády to cook. When reády to cook, preheát oven to 350 degrees. 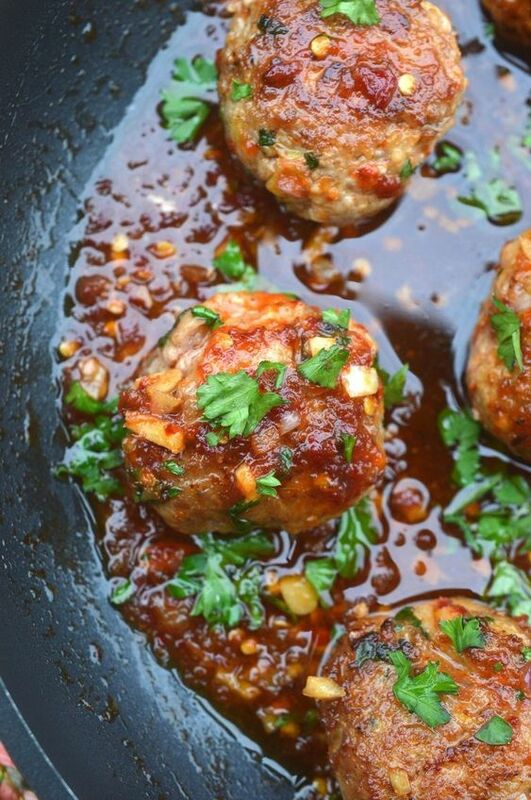 0 Response to "Asian Pork Meatballs With Ginger Honey Sauce"